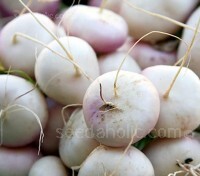 ‘Primera F1’ is a flat-shaped hybrid turnip, a compact Milan type with a purple top and white base suitable for early protected cropping and maincrop field production. It can be sown successionally from March right through to August. Sow under cloches in early spring and in late summer to extend the cropping season. 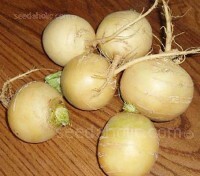 Tokyo Cross is an award-winning high quality turnip. 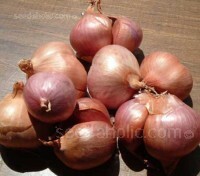 Fast-growing it matures just 35 days and can be harvested anytime during growth, for small to medium size roots. Suitable for growing the garden or in containers, it produces delicious pure white roots with very smooth and sweet flesh. Nasturtium Alaska Mixed is favoured for its highly ornamental, marbled green and white leaves. With a neat compact semi trailing habit, it is one of the most foolproof and versatile of all summer flowering annuals. With vivid multi-coloured blooms, both flowers and leaves are edible. Tigerella is a standard, indeterminate variety, an English heirloom variety that is highly productive and extremely attractive. About the size of a billiard ball, it has a unique, rich, tangy flavour and the stripes give it outstanding eye appeal. Ideal for children. 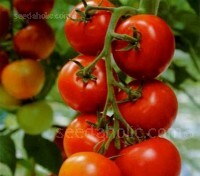 Moneymaker is a popular old English greenhouse variety, well known for reliably producing large trusses of nicely flavoured, bright scarlet fruits. We offer Certified Organic seed that will give good results in our typical summers, either in the greenhouse or out of doors. Organic Seed. 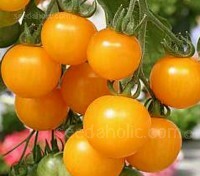 Tomato “Golden Sunrise” produces superb medium sized golden-yellow fruits that weigh around 70 to 90 grams. 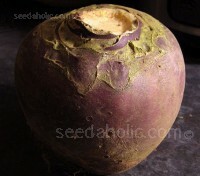 The fruits have a sweet, distinctive flavour, with a fleshy consistency. Halved or quartered in salads, they are quite simply scrumptious. If you are of the opinion tomatoes have lost their flavour 'Gardener's Delight' is a must for you. Easy to grow, heavy cropping and extremely sweet in flavour. The true flavour of tomatoes of a century or more ago. RHS AGM. Organic Seed. 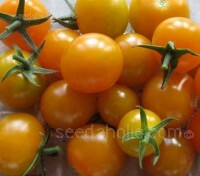 F1 Sungold is a superb cherry type tomato with irresistible bite size fruits that have an exceptional flavour all their own. The orange fruits grow on long trusses and crop in 60 days. 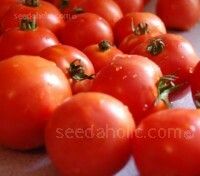 It is an excellent new tomato for glasshouse or outdoor culture. RHS AGM. Tomato ‘F1 Shirley’ is hard to beat. Suitable for the greenhouse, the robust plants are disease resistant and crop early and heavily over a long period of time. Producing excellent quality, medium sized red fruits with a firm skin and a lovely taste and texture. 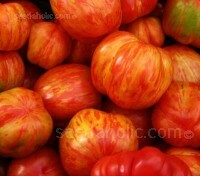 Alicante is superior variety possessing all the things we look for in a tomato. This popular Heritage variety matures early and produces an excellent crop of fine, full-bodied flavour. 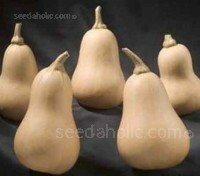 Suitable for soil or in grow bags, recommended for beginners and ideal for children. 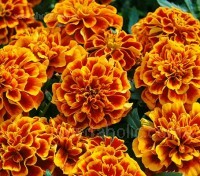 Tagetes 'Queen Sophia' is an extremely popular, award winning variety that was introduced in the early 1900’s. Gorgeous to the point of excess, it produces semi-double blooms. 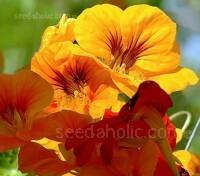 Deep orange-to-russet petals that are intricately edged with russet and gold. The result of the latest development in breeding, 'Lark F1' is the first of a new generation of excellent quality Sweetcorn that performs better in cooler conditions than many other varieties. The grains have a softer texture and are deliciously sweet. RHS AGM. 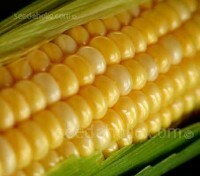 Sweetcorn Earlybird F1 is one of the earliest maturing Supersweet varieties currently available. It has improved tolerance to cold soil. 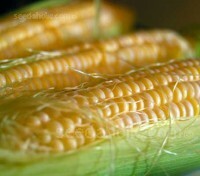 Extremely popular with home gardeners, it reliably produces good yields of uniform cobs that are deliciously sweet. RHS AGM. Butternut Squash 'Hunter' has been bred in the U.K and specifically developed to give consistent results in our unreliable climate. 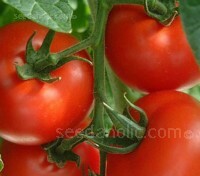 Easy to grow and maturing up to four weeks earlier than other varieties. 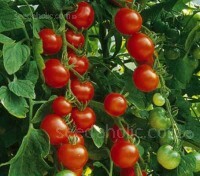 Each plant should produce 6 or 7 fruits of around 1kg. 'F1 Crown Prince' has an impressive appearance with steel grey skin and sweet orange flesh. 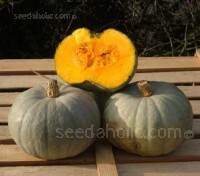 It is widely considered to be one of the best flavoured squashes, much prized for its dense, sweet orange flesh. Very reliable and productive it is renowned for its long storage properties. Spinach, like most leafy greens are on the easy to grow list of home gardening, F1 Renegade is even easier than most and suitable for both baby leaf or for use as regular spinach. Well regarded by the restaurant trade, this excellent tasting variety has an upright habit with beautiful round, dark green leaves. 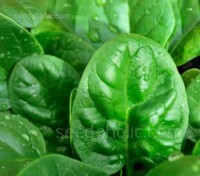 Spinach 'F1 Palco' is an established favourite, it grows slowly, is high yielding and slow to bolt and is therefore suitable for summer cultivation. 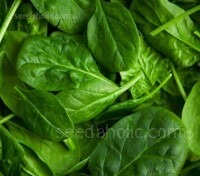 It produces quality, dark green leaves, throughout the season. RHS AGM. Organic Seed. Full of character but easy on spice, Radish ‘Sparkler’ is an attractive globe variety with shading from the brightest scarlet to pure white, dotted with merry flecks. There's no beating this delightful little two-tone jewel for quick harvest, mild peppery bite, and terrific plate appeal. RHS AGM. Organic Seed. 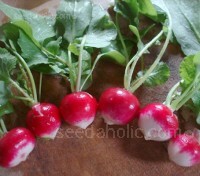 Quick to grow and beautiful to look at Radish 'Pink Beauty' is a very sweet, pink radish with a mild flavour. 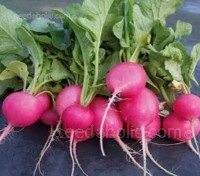 This eye-catching, top-quality radish is an easy variety to grow. The roots are never pithy and take around 26 days to mature. 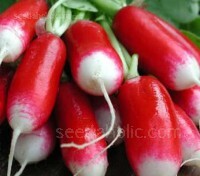 French Breakfast 3 is a solid, sweet, cylindrical shaped radish that sports crimson shoulders and a white tip. 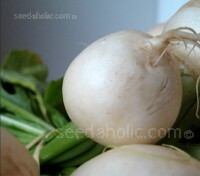 Quick-growing with crisp, tender roots and a sweet mild flavour. Suitable for planting from spring through to autumn even on the smallest city lot.